Ben Walters has felt the pull of music his entire life. As a kid growing up in Loudoun County, he started a punk rock band with some friends. Their first live performance was at a school talent show. Feeling the energy and creativity on stage, he understood then and there that music was going to be a big part of his life. He was fourteen years old. The large number of families in Loudoun also means lots of teaching opportunities. 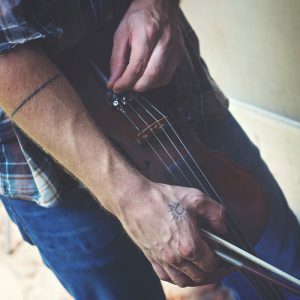 Walters, who is one of these baffling people who can pick up any instrument and just “get” it, teaches students on all kinds of stringed instruments including violin, viola, cello, mandolin, bass, banjo, and of course, guitar. Outside of teaching, choosing a favorite instrument to play isn’t always easy for someone proficient at so many. At times he has played more mandolin, or banjo, or bass. 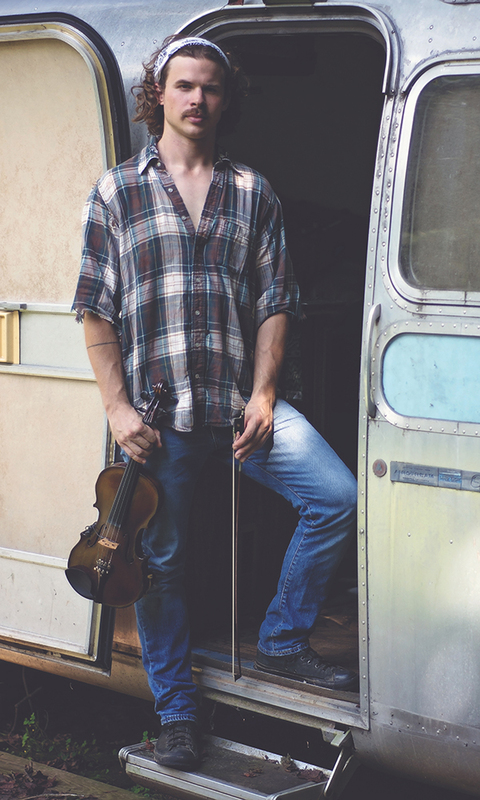 But lately most of his time is dedicated to guitar and fiddle. Of those two, when pressed into a desert island scenario, Walters chooses the fiddle. “It’s pretty small and keeps me challenged,” he said. People of the Piedmont is an ongoing portrait series spotlighting compelling individuals of the Piedmont. Captured in genuine moments through the lens and words of Ed Felker, the subjects are portrayed immersed in the pursuits that get them up in the morning and drive them all day.